I just finished a new design team project for Buzz and Bloom. They just announced new products which include even more creative chipboard designs and the NEW and WONDERFUL line of acrylics. 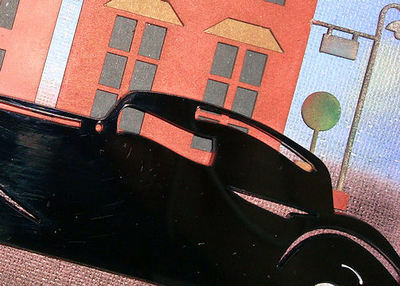 The acrylics are made a nice heavy acrylic in solid and translucent colors. There is even a mirrored acrylic available. I have never seen a product like this before. I've got a new design team project posted on Buzz and Bloom's blog. I can't show you the complete project here yet, but if you get the chance please take a look. I just wanted to share a recent design team project that I did for Buzz and Bloom. 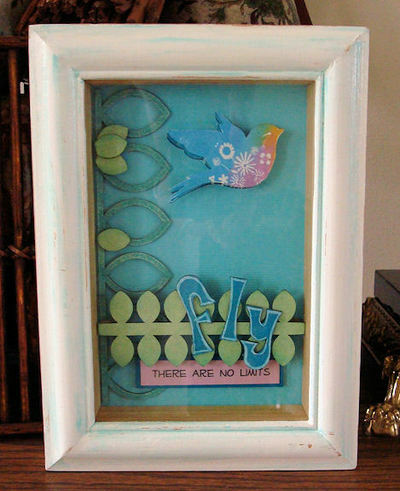 It is a shadow box entitled "Fly". Check out some of my other Buzz and Bloom projects and read the instructions for this project by clicking here. Please check out my latest project for Buzz and Bloom. Be sure to check out all of the design team projects, and Buzz and Blooms latest release of chipboard products. 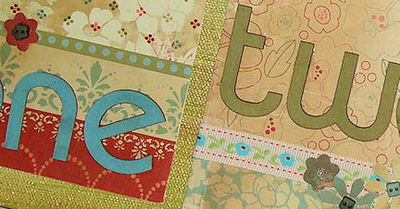 This is a project that I recently did for Buzz and Bloom, and had posted on their blog. 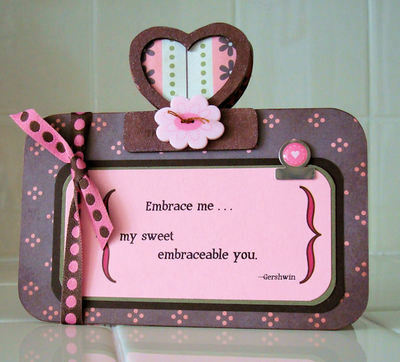 New chipboard products were just released. Check them out at Buzz and Bloom. 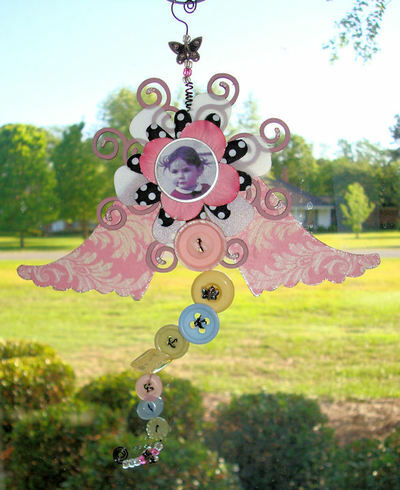 With spring upon us, I felt it was appropriate that I make this "button fairy" to watch over my blooming garden. I don't know if everyone is familiar with button fairies or not. They are a fun, quick, and easy project to make. Mine are usually simply made from collected buttons, wire, flowers and a face. This button fairy is a bit larger than most, but that shouldn't hamper the job she has to do. She is a bit fancier too, with her soaring wings. 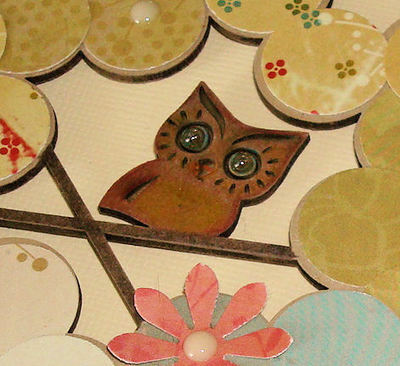 I started out by prepping my chipboard pieces. I inked the chipboard with chalk ink. I traced the wing shape on printed paper and cut out. I glued the paper onto the chipboard and trimmed where necessary. To make the "body" of the button fairy, cut an 18" to 24" piece of wire. Start at one end of the wire and make a flat spiral. Add a selection of beads and/or charms. Thread the buttons onto the wire one at a time. It as if you are sewing a button with wire instead of thread. Start with the small buttons, and work up to the largest button. As you can see in the photo, on buttons with 4 holes, I cross the wire in an "x". Make sure that the buttons fit snug against each other as you progress up the wire. 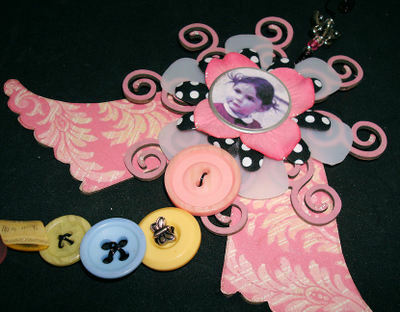 Notice how I added a small metal butterfly bead to the wire of the yellow button. 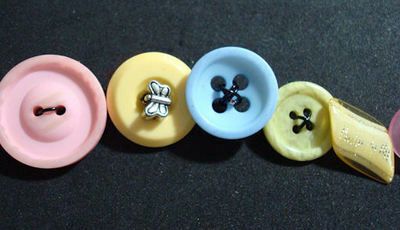 You can add any glass bead on top of, or between buttons. Think about adding small ribbon bows between buttons too. Be creative and make this your own. Once you have the fairy's body made, it is time to construct her. In other words, it is time to bring her to life. As a base for my fairy, I punched a 1" circle out of heavy watercolor paper. I glued the two wings to this disk, leaving enough room to run the wire between them. I glued the wire in place. I added a second 1" paper disk on top, gluing it in place. The second disk will give you something to attach the head securely to. While that was drying, I assembled my fairy's "head". 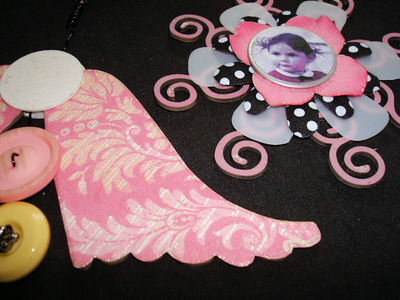 I layered the chipboard piece, white flower, polka dotted flower, and the pink flower. I punched out a 1" face and glued it to a metal-rimmed tag, and attached that to the stack. To add a bit of glimmer, I added dots of glitter glue to the ends of the chipboard spirals, and edged the wings and pink flower with a glitter gel pen. After the wire was securely glued in place, I snipped off all but about 6" - 8" of wire. I made a small coil in the wire, added more beads, and a larger metal butterfly bead. At the very top of the wire I made another flat spiral for my fairy to hang from. The only step left was to glue the head to the body. 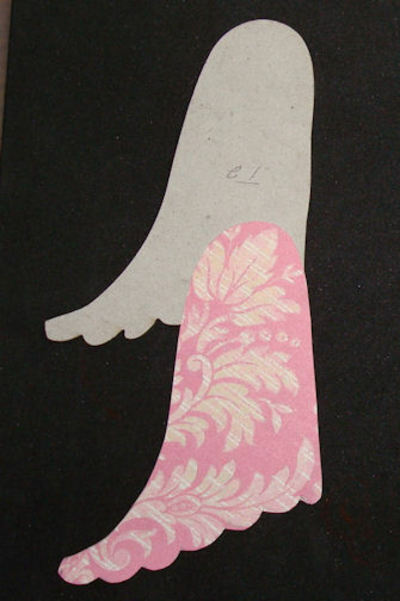 When you attach the head, make sure you slide the lower edge of the chipboard/flowers under the top button, so that the button lays on top near the face. Feel free to bend her wire body in the shape that you like. Your button fairy is now finished and ready to watch over your garden. Tips - There are endless variations when making button fairies. Make smaller fairies with only 3-5 buttons. 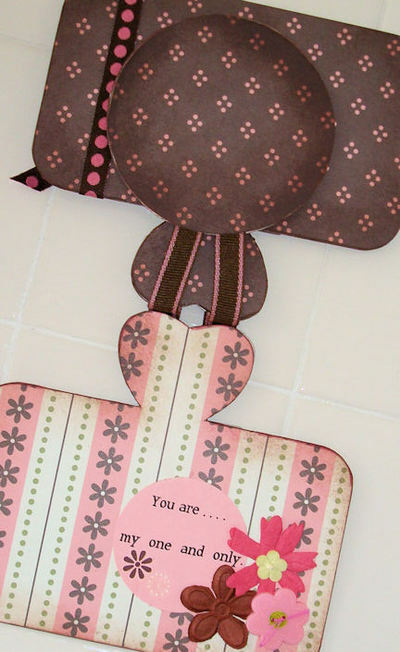 Use paper flowers, fabric flowers, real flowers, or anything "round" as the "head". Use flattened bottle caps to hold your face. 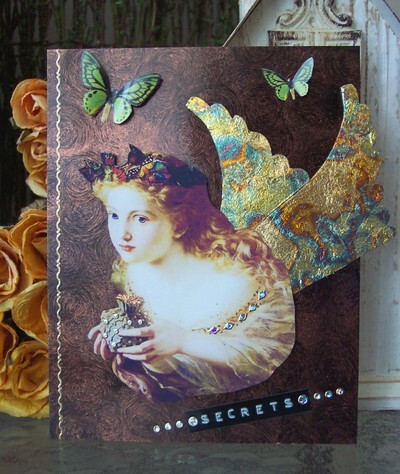 Use photos of people you know to personalize your fairy. 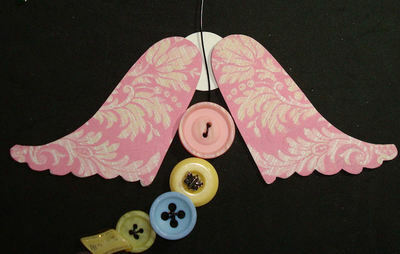 Button fairies don't "need" wings, but fly best with them. You can use loops of wires as wings. Use paper for wings. Use colored wire. Buttons come in many shapes, sizes, and colors. Add ribbons wherever you wish. 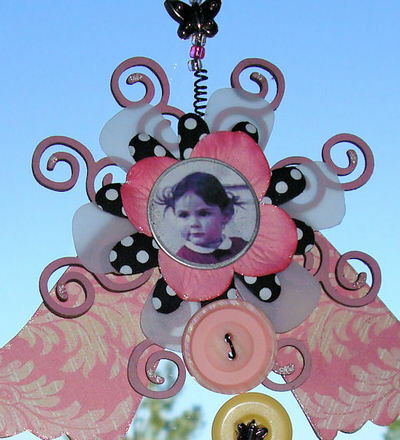 Use your creativity and whatever you have in your current supplies to create a personal button fairy. Each button fairy takes on a personality of their own. 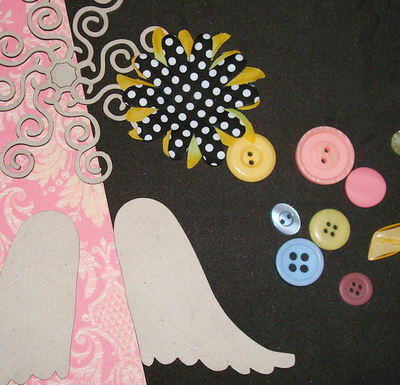 Check out my "winged" button fairy on Buzz and Bloom's blog. This was my Art Challenge for the month. I have more pictures and detailed instructions posted on that blog. Lots of other fun eye candy posted there too. Enjoy. 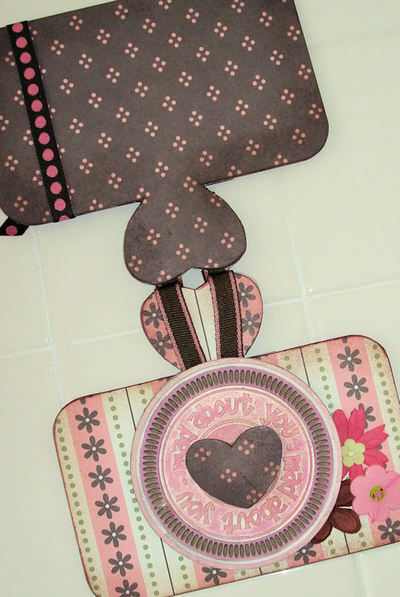 This is a special Valentine project that I made recently for Buzz and Bloom. You can read my detailed instructions here. I wanted to share this with those of you that didn't catch it on their blog. I made this small book recently as a project for Buzz and Bloom. Our theme was "our favorite day/week/event of 2007". I had a couple events to pick from, but chose to reminisce about my summer vacation. My favorite place to be is at the beach. I love smelling the sea air, feeling the sea breeze on my face, walking in the sand, and just soaking in all of the surroundings. It was only natural that I picked this for my favorite week of the year. To make this book, I used Buzz and Bloom's set of Tabbed Index Cards - Circles for my book base . I punched holes in the chipboard and bound the book using the Bind-It-All. 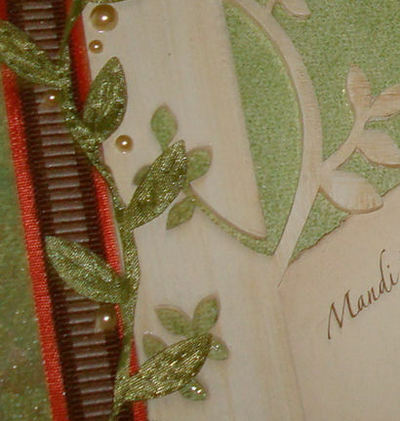 It worked beautifully with this chipboard! The pages were colored with chalk inks. I stippled several colors onto the pages. Next, I white washed them with white Brilliance ink. I randomly stamped some flourishes, added layers of clip art/printed paper, and added my personal "words". 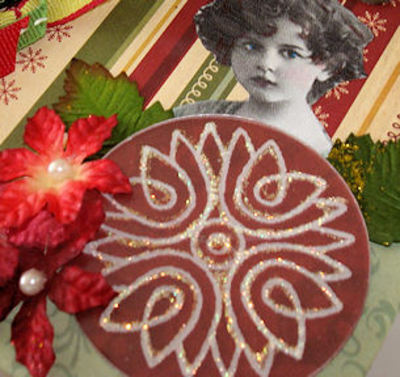 I followed this all with embellishments - shells, ribbons, buttons, charms, flowers, more shells, netting, etc. 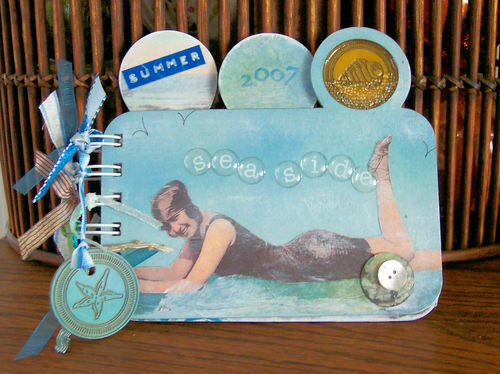 In this set of chipboard pages, tabs on two of the pages have a center that punches out. I used one of these as my front page. 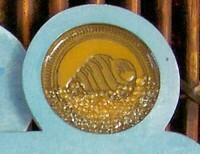 I added an inked Mini Token - Seashore behind the hole and glued it in place (the token is just a bit larger than hole. I then filled the recessed area with Diamond Glaze and clear small micro beads. Came out looking like a shell in the water. I also made sure all of the tabs were decorated front and back. 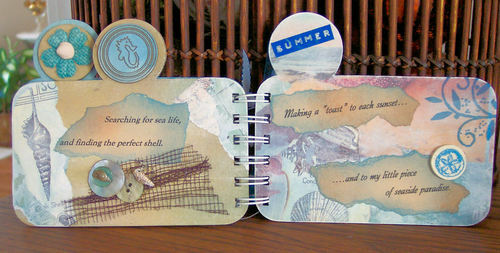 I added words, another Mini Token, and a burlap flower with a shell center to the tabs. I also attached a Mini Token to one of the ribbon tied to the binding of the book. Recently, I altered a full sized composition book to use as a garden journal. I love to work in my yard, and I always keep track of what and when I have planted plants, fertilized, etc. I first covered the composition book with printed paper... it looks like newsprint. 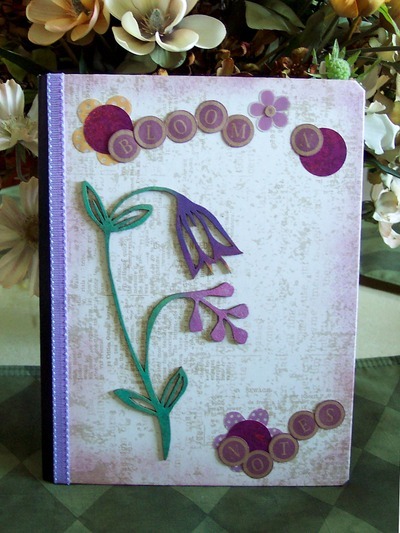 I stamped out " bloom'n notes " using Buzz and Blooms new Spot On alphabet. I punched out the circular letters. 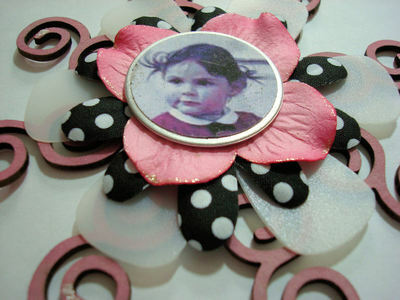 The chipboard flower is also from Buzz and Bloom. I colored it with various shades of ColorBox chalk inks. The other flowers behind the title, are clear/colored acetate stick on flowers by Making Memories. I embellished with a coordinating ribbon down the edge of the spine. I covered the inside covers of the book also, with coordinating cardstock. Can't wait for spring to arrive so I can use my new garden journal. This is an altered page I did in my art journal. I am very happy with how it turned out. I started with a sheet of glossy black cardstock. 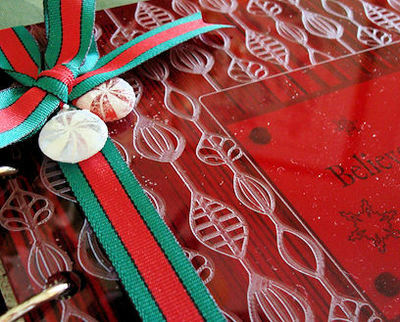 Using a small (1/2" or so diameter) sponge pouncer, I swirled copper Brilliance ink onto the glossy cardstock. I did let it dry for a couple of hours. It made a beautiful background. I took a pair of Buzz and Blooms chipboard wings from the Heavenly set, and covered one side of them with glue from the Essential Glue Pad. I had some sheets of gold leafing that I applied to the tacky surface. I burnished it and brushed off any extra foil. Note - it looks like one wing is on top of the other, but I actually cut one wing so that it fit snuggly next to the other. This way my page stayed a bit flatter. After the wings were attached, I added my clipart of this beautiful girl with her bag full of "secrets". I put her on dimensional dots. I also added some butterflies I cut out of an old calendar. I curled them before attaching. Her bag and dress have bling added. Hope you like this page.